Our websites are search engine friendly out of the box, because we write using HTML5 CSS3 valid code, and we build in the correct url structures, headings, image alt tags etc, that all count towards your Google ranking. Security is so important. We now recommend all new website owners to purchase an SSL cert on launch for a https secure website. We also use content security headers in all new website builds for 2019. These measures make your website more resistant to hacking and/or data sniffing. In this era of GDPR protection these measures help keep your data, and your visitors data safe and secure. We also anonymize your Google Analytics data again to keep you within GDPR compliance and being respectful of your visitors data. Read more about our HTML5 secure websites here! From our hub we work with you, using your existing logo or creating a new one, recommending the most effective colour schemes, generating imagery for you either using licenced stock images or using our on site photographer to generate high resolution images for us to use. 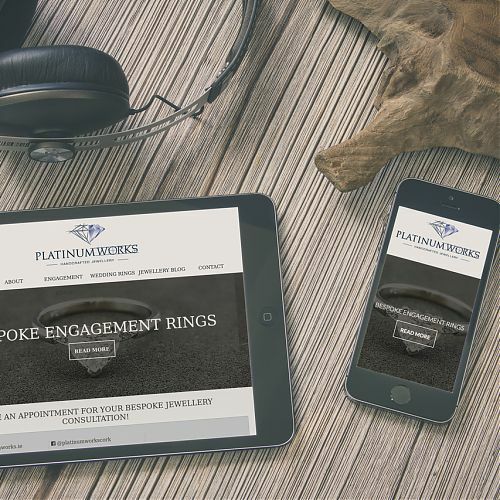 We run through a few design options with you, ensuring every page has a clear call to action for your business enquiries. In fact the most frequent feedback we get on our websites, is on releasing huge numbers of enquiries through it, based on comparisons by our clients on their previous websites. We are highly skilled at using HTML5/CSS3 fast loading, secure, mobile-friendly websites that rank highly in search engines. Once you achieve a page one ranking, whether long or short tail (meet with Hilary for a detailed chat on SEO! ), it is then important that when people do click into your site, that it loads fast, that is has the information they were looking for, and that the call to action is clear and easy to use. Right now we are running a promotion where you get a FREE mobile version of your website based on the Google recommended method of responsive web design. To read more about our mobile websites use the link below! Learn more about responsive web design in Cork! Contact us for Web Design in Cork! Email Hilary on hello@proximowebdesign.ie today and you will get an immediate callback for an informal chat about your project and how we can help you with it! Get your business online with us.